Aged care facilities should ensure that residents have access to gardens, which research shows bring us all physical and psychological benefits, writes Cath Manuel. 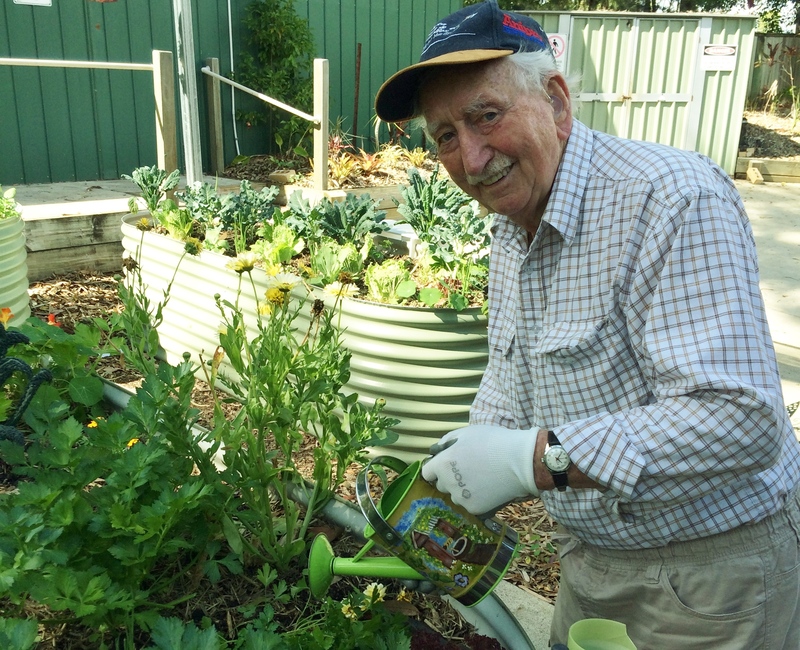 For many people living in residential aged care, gardening has been an important part of their lifestyle for most of their lives. Any gardener will tell you that they feel alive, healthy and happy after spending time digging in the dirt, pruning shrubs and picking flowers. Although plants and gardens have provided peace and harmony for many centuries, it was during the early 1800s that horticulture became increasingly used within the medical industry to treat mental illness. Gardens and landscaped settings were created within psychiatric hospital grounds to provide access to quiet spaces, grassed areas, winding paths and gardens beds for flowers. 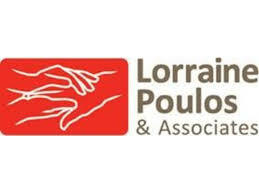 Patient’s senses were awakened and improvements to emotional wellbeing were noted. In the early 1900s, horticulture was used for people with physical disabilities and is now used throughout the world to assist older people and those special needs, including people living with dementia, intellectual and physical disabilities or recovering from injury or illness. Thanks to a growing body of research internationally, we have evidence to show that gardening is good for our wellbeing. Further research from Thrive, an organisation in the UK that uses gardening to benefit older people and those living with a disability, has found improvements to physical and psychological wellbeing, increased knowledge, skills and the desire to learn, reduced loneliness and social isolation and provided volunteering opportunities within the community (see the Thrive website for more). People who have been active outdoors throughout their life, and then have this taken from their daily routines upon entering residential care, can become frustrated, anxious and experience increased stress levels. By participating in regular gardening activities, marked improvements in health and wellbeing for residents are evident, and the flow-on effect from this gentle form of physical activity is of benefit to staff and management of organisations. 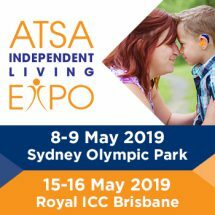 Horticultural or garden therapy is growing rapidly in Australia and is provided within many aged care organisations, disability services and mental health services and to assist people recovering from injury and illness. Many facilities have gardens available for residents and clients to access, but are often under-utilised as staff are not confident or are inexperienced in providing gardening activities. From visiting community organisations and aged care facilities, I have seen many beautifully landscaped garden areas filled with low maintenance plants. While lovely to look at, these areas are quite uninviting for residents and guests and don’t provide a space for the keen gardener to get their hands in the dirt. Ultimately, gardening is all about the journey, not the destination. So head outside and enjoy a little sunshine and laughter as you harvest the wonderful health benefits from Mother Nature. Cath Manuel is the founder of Soil to Supper and provides services and programs through the Gardening for Health and Wellbeing Program. The full version of this article, including top tips for aged care facilities, appears in the current issue of Australian Ageing Agenda magazine (Nov-Dec). Congratulations. It is always good to read a “resident ‘well being” centred article. What you did not mention but could the next time, is the availability of compact, self-contained, “waist-level” garden boxes.. They allow individual or small groups of residents to cultivate their own garden patch, be it salad greens, flowers or cacti Costa Georgiadis of The ABC Garden Show can give you more information. Some years ago Home Modification Blue Mountains received HACC funding to publish a booklet called safe and sustainable gardening, this was produced for the blue mountains and then additional publications for other areas to ensure most appropriate planting per area was paramount in the publication. This is important for people who remain living in their homes also. Residents who garden at a Hunters Green Retirement Village in Victoria feel it’s so important for wellbeing, and the gardens are really impressive. I work in Aged Care in Qld. Our facility has recently been bought by another aged care provider based in NSW … we are no longer permitted to give to our residents the vegetables we have grown in our gardens. ALL fruit and veg MUST come from an accredited provider (that is grown on a farm, sprayed, picked by seasonal workers, taken to a shed, trucked to the distributor and trucked again to the home, then, washed in a chemical, a fruit wash). Is there anything anywhere that states residents cannot eat the fruits of their (our) labour. I find this particular new policy takes away from the residents they have grown up with, growing and eating the fresh food grown in their own garden (at the facility) … I picked a box of silver beet this morning, I was the only one to touch it delivered to the kitchen. I use no sprays on our plants. Kitchen said, no, new policy, can’t use. Disgraceful. I really want to sight some legislation that specifically states that residents CANNOT eat the vegetables grown at an aged care facility, or any legislation that states THEY CAN eat vegetables grown at an aged care facility. Good on you for advocating for your residents! There’s nothing more satisfying than growing your own vegetables and having them on your plate for dinner – a really good example of enabling older people to participate in something meaningful (there’s a growing body of evidence about the importance of meaningful, or vocational, activity, especially in regards to supporting people with dementia). My guess is that your new management had decided to centralise the procurement processes as a cost-saving measure. It sounds like the finance people haven’t been talking to the care people at your organisation, because if they had they would realise how short-sighted the decision is: they clearly haven’t factored in the potential additional care costs which will occur due to the increased levels of agitation, apathy etc that occurs when people are not offered opportunities to live with dignity and risk etc! I reckon they’re putting one over you if they are saying it’s due to legislation – you should raise it with your union to see if they’ve got someone who can check on this for you. I am looking further into it. Our home now is run as a “business” and the new owners push this on us. We are a business now, not a home for our residents. It’s was always encouraged by the old owners (and me) to grow vegies so if the residents want to help in the garden they can. We also have a couple of residents that like to grow vegetables, pick them and give them to the kitchen for the residents meals but now that has changed, no more eating the vegies we grow. So much for giving to the elderly as if they were still in their own homes. It makes you wonder how our residents of 90 years + have survived all their years eating their own home grown. Thank you Anita. If anything comes of this I shall post the outcome. Nope … no go. the Hospitality and Property manager has made it clear that no vegetables grown at the facility are to be consumed by residents. I have approached my union to discuss some workplace issues and will be bringing this matter up as well.